You wanted a good plastic chest of drawers and I’ve got great news for you! This whole page is a comprehensive guide to the best ones. Just about every home I go in has a set like these. The application is generally the same for everyone, but it may differ just a bit. 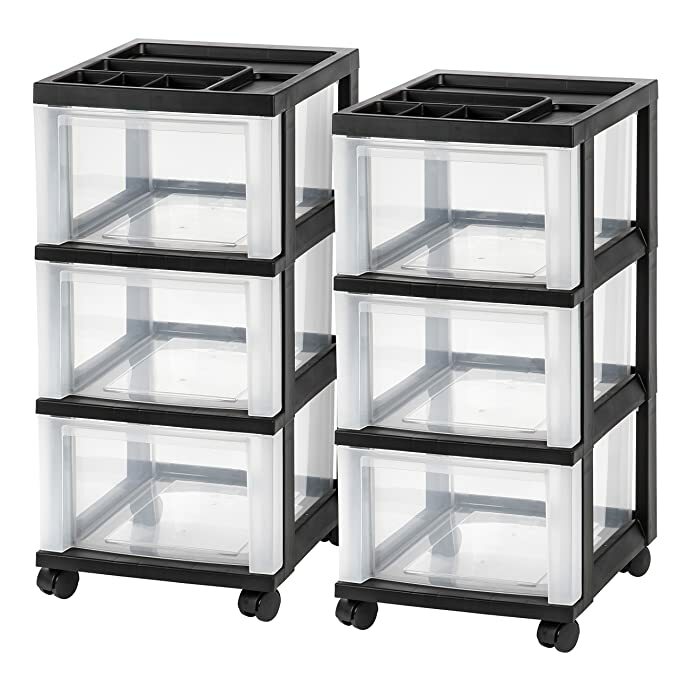 They are mainly used for storage and organization. You can use it in your home office, for crafts, or odds and ends in the hall closet. Two particular applications I’ve seen these used for are for tools and for children’s school work. We homeschool our kids and our storage bin drawers hold all sorts of school supplies, like paper, pencils, and art supplies. 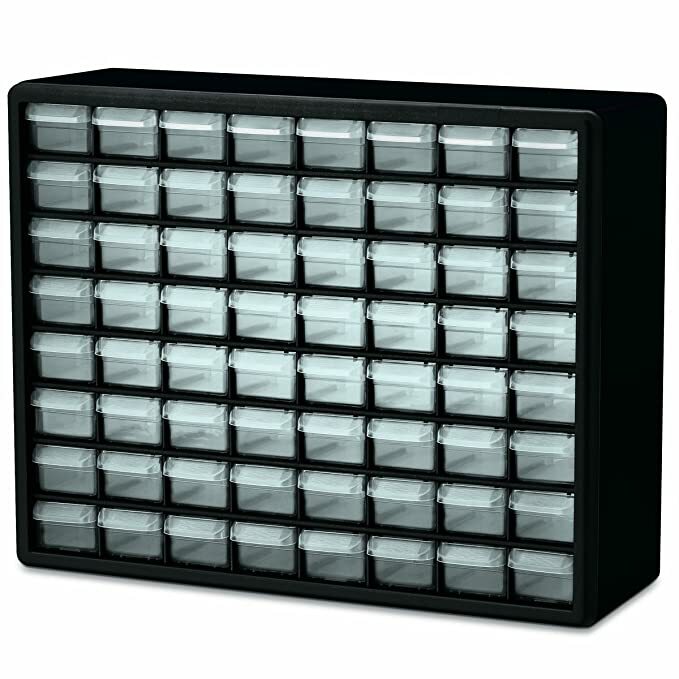 This section contains the six best standard plastic storage drawers. You can use these for just about anything. 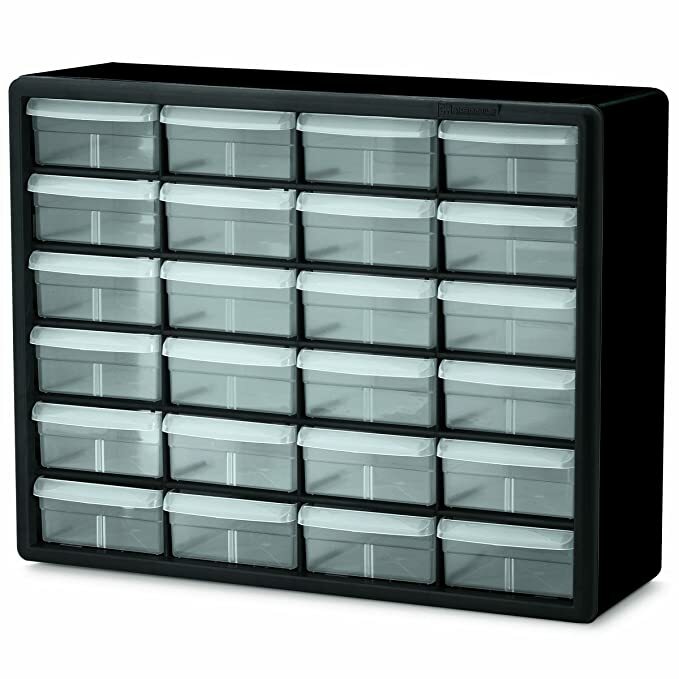 The first 12-drawer organizer would be great for tools, crafts, and other small items. All the others can be used for office items, papers, documents, art supplies, and much more. 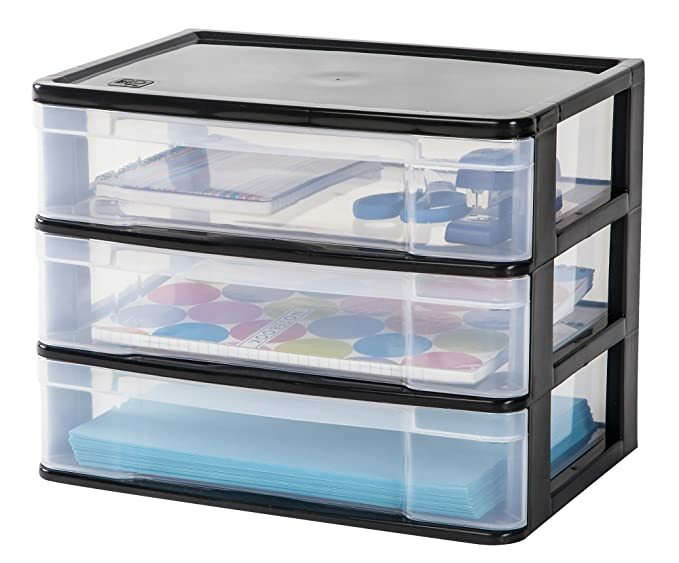 The three drawer units are perfect for on top of your desk. The last thing you want is a messy desk full of cluttered paper! 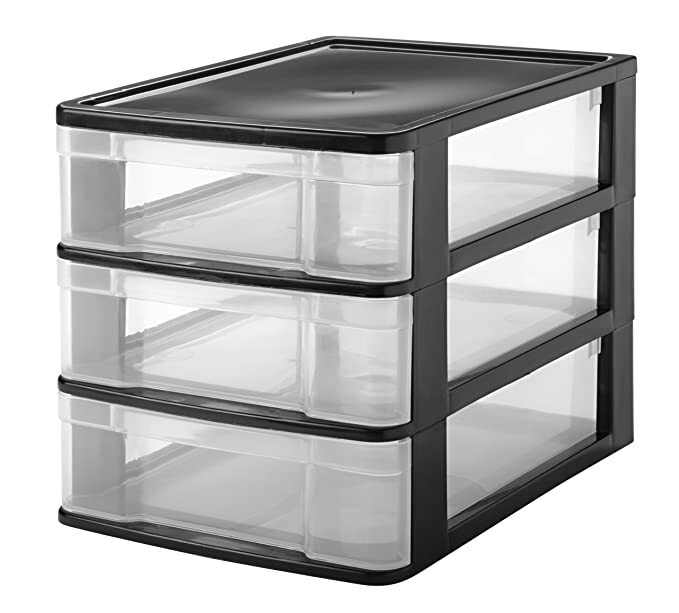 What’s better than storage bins? 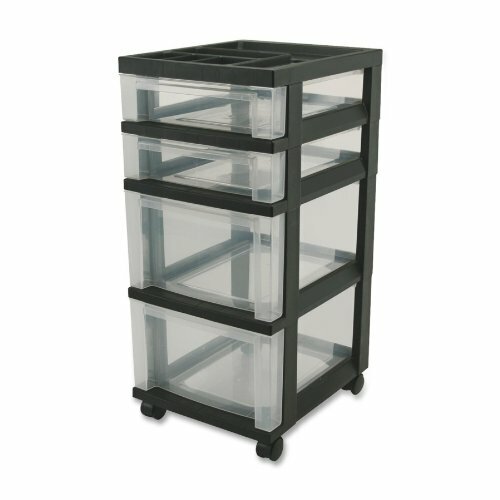 Storage bins on wheels! 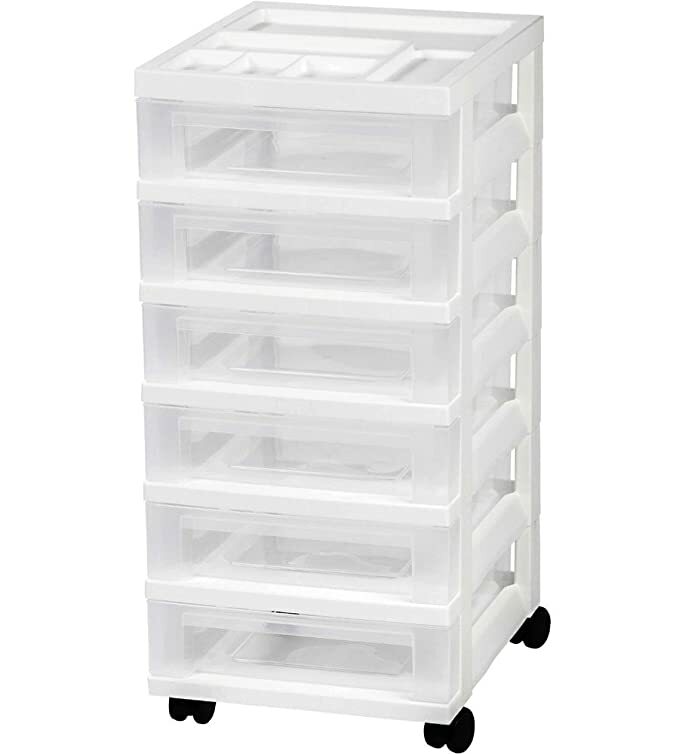 I really like these options for the simple fact that the plastic drawers on wheels are mobile. You can place them in any room and roll them around for your convenience or move them to another room if you need to. These are great for a number of uses. 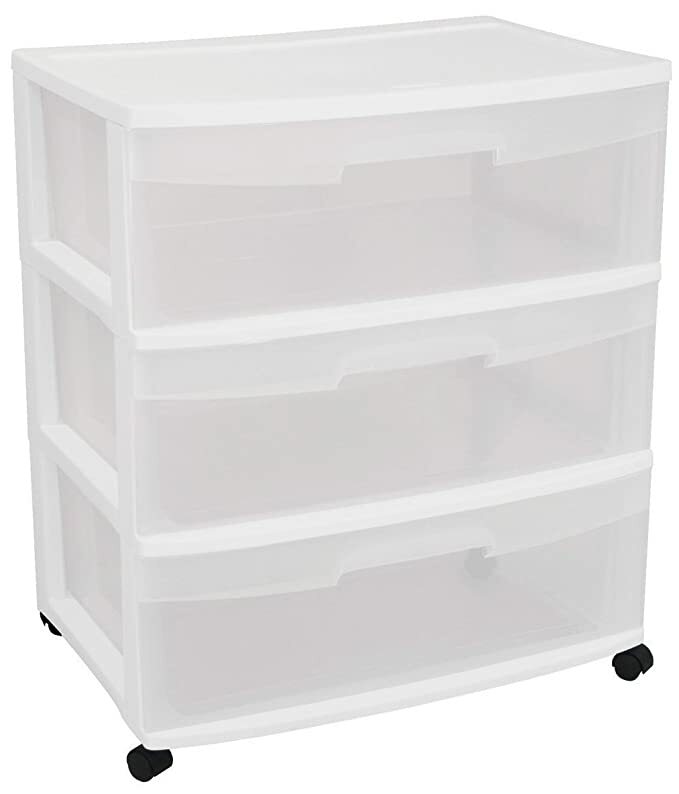 Even if you most likely won’t need to roll it around, I recommend getting one with wheels just in case you decide to move your storage bins to another room. Or if you’re moving to another house, the wheels will come in handy. Then you don’t have to empty everything. Another great thing about these units, is there is very little to no assembly required. Plus, they are all clear so you can see exactly what’s inside. 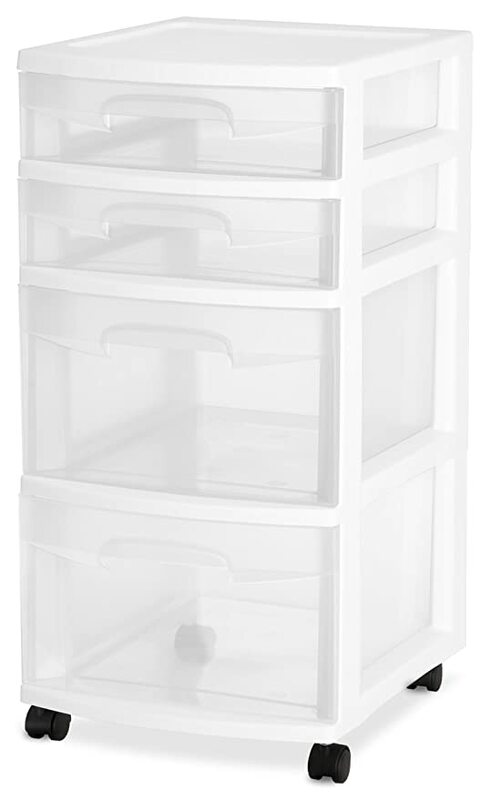 I prefer something like this versus huge, heavy metal filing drawers which are almost impossible to move once you have stuff in it. Not to mention they are just heavy and bulky even when they’re empty. What a pain! 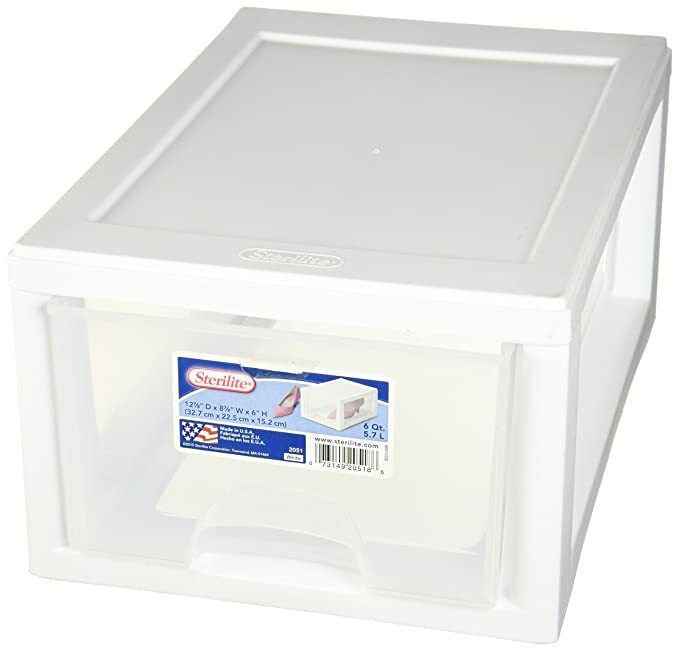 I’ve listed several items that could be put in these storage bins. 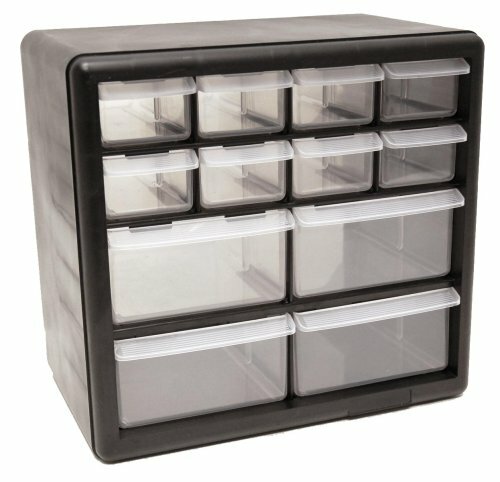 What would you like to store in one of these? 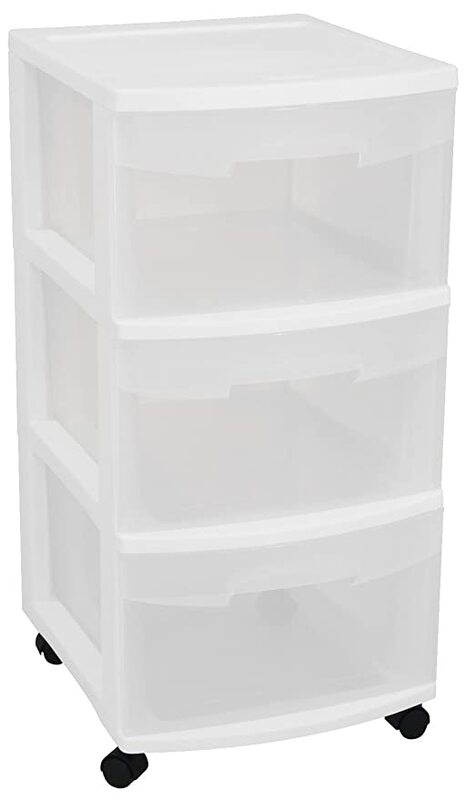 Some people aren’t too keen on these types of storage bins because they think they are too boring looking. Here are some great tips if you want to make your plastic drawers more colorful! She makes this looks super easy and affordable. There’s no limit to how you can decorate your drawers. Get creative and do something that matches your personality. If you need lots of smaller drawers for your home or office use, here are six really good options for you. You could use any of these for makeup, jewelry, collectibles, or small toys such as hot wheels or legos? It can be annoying to go through every drawer in the house looking for something, but with clear material you can see what’s in it before every having to open it and go through it. Another great idea would be to label the front of each drawer with the contents inside. I think of all the plastic chest of drawers I’ve seen, this is my favorite. 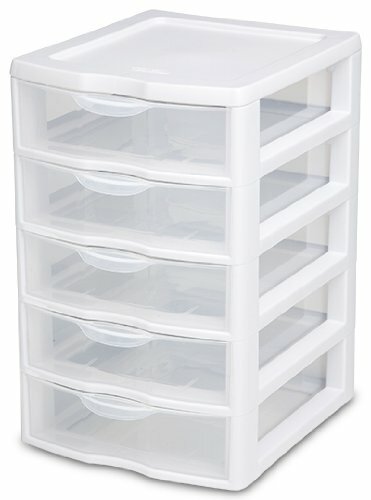 It has 12 drawers for storage and it also looks really nice. 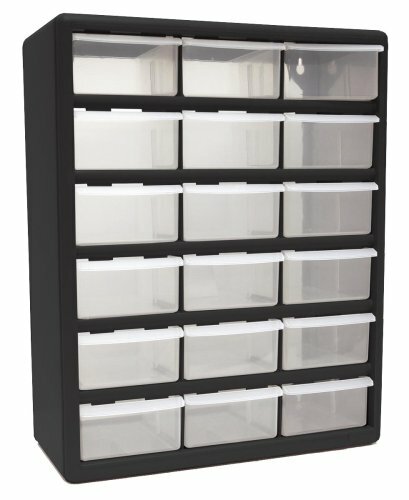 I would like to have one of these to organize the tools and outdoor supplies in my garage. Also, if you have a bunch of small items around the house that get scattered and lost then this is something you might want to consider. 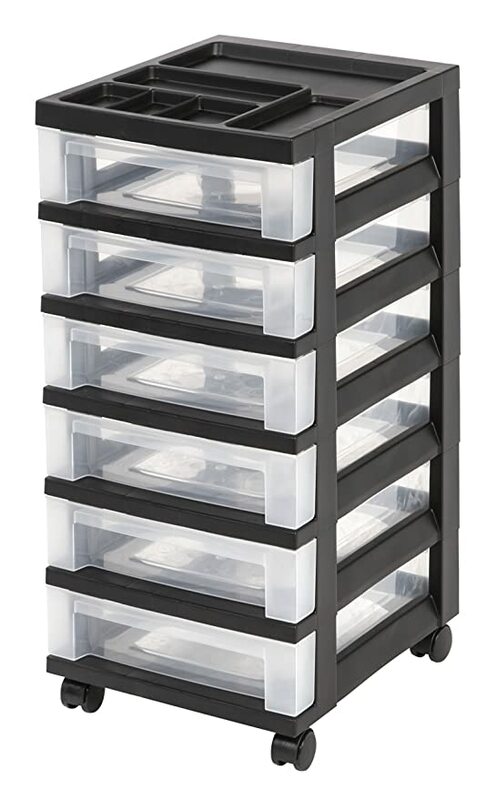 You could use them to hold rubber bands, paper clips, post-it notes, magnets … really anything! 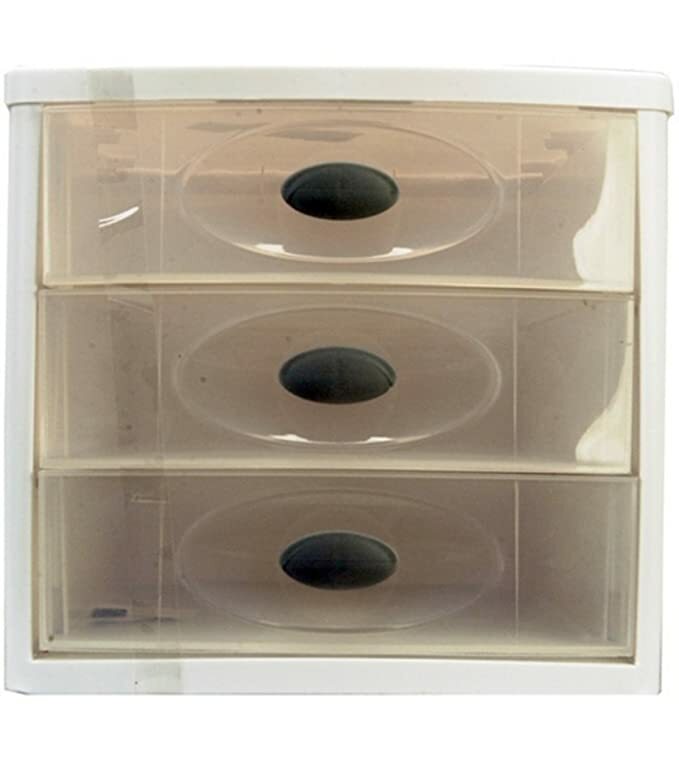 Check out this video to see one of these storage drawers in action! She has a lot of makeup and the bins work perfectly to accommodate her needs. It’s amazing how organization can help relieve stress and make your life easier. You aren’t always faced with clutter and you can find what you need more easily. 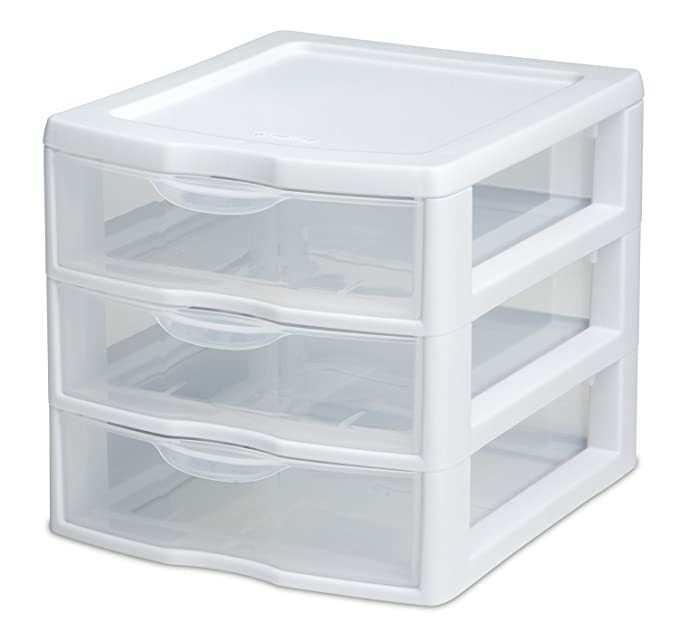 That’s why a plastic chest of drawers storage bin is so beneficial. It’s worth having several of these throughout your house in areas where clutter accumulates. And since they’re not very expensive, they’re worth every penny. We use these drawers for so many things, especially since we homeschool, we accumulate a lot of stuff that needs a nice place to be stored. That’s why we need to get more of these! There are many homeschooling items to store. We have one so far.